Busy Hands held a memorable events with the residents at Lilac Homes! We shared many laughs and memories together and had a wonderful time interacting with everyone. Busy Hands had a wonderful donation run with Eventide Sheyenne Crossings. Busy Hands had a very productive and interactive event with the residents at Edgewood! Another heartfelt event with the senior residents at Eventide where we all shared smiles, laughs, and stories together while being a productive group. Busy Hands dropped by to donated multiple pillows to the residents living in Edgewood. It was certainly a heart-warming experience and we are excited to be working with these residents at future event! This was one of the many sweet patients we met and her reaction was heart-warming! Busy Hands had the incredible chance of sharing some memories, laughs, and experiences with each other this afternoon. This event was not only about productivity, but each of us left with new friends. Busy Hands had the amazing opportunity to work with the residents of River Pointe of Moorhead as an evening activity for them! We had the chance to be productive, but was able to create some conversation. 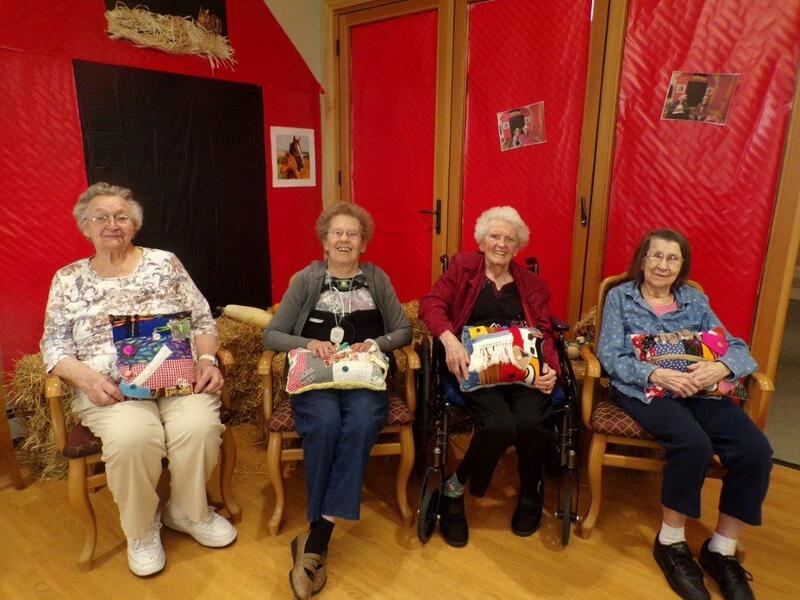 Busy Hands had the opportunity to ship out pillows to Gackle Care Facility in Gackle, North Dakota. Thank you for reaching out to us, we love to help any patient in need! Busy Hands had an incredible time with the residents at the Ecumen Evergreens of Moorhead listening to their stories, sharing sweet memories, and enjoying each other's company! Busy Hands had the chance to the Donate to the Good Samaritan Society in Larimore, North Dakota. We also had the opportunity to specially try out an new muffler design for a patient struggling to keep his hands under control. 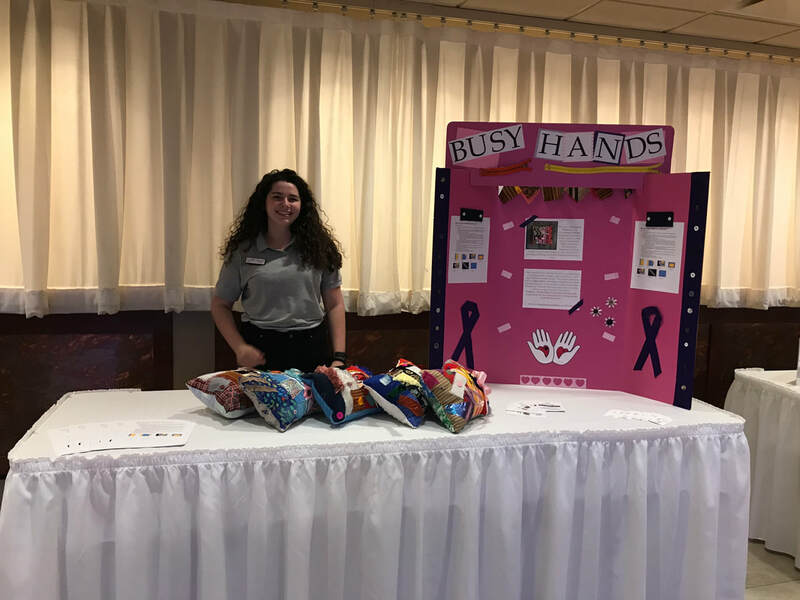 Busy Hands had the opportunity to set up a booth and spread the message of our organization to a crowd of individuals who arrived to the special presentation "Leaders in Living". 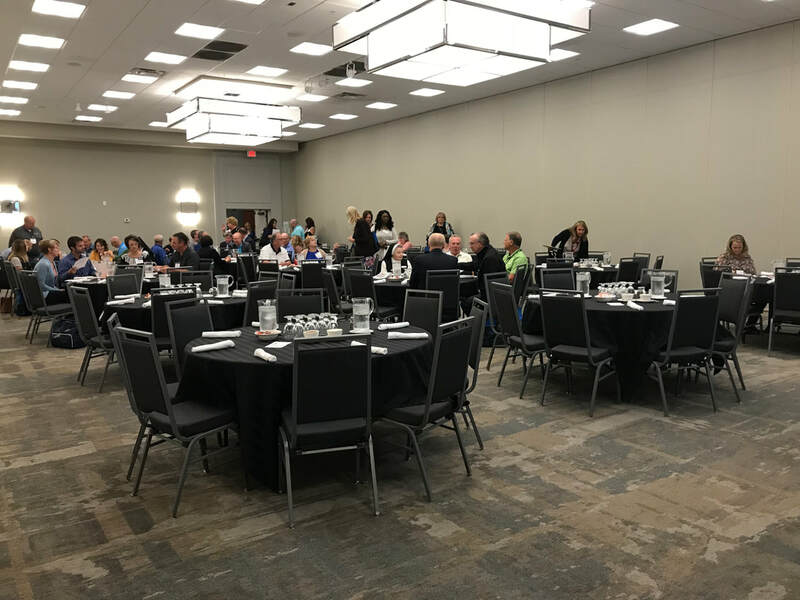 Busy Hands had the privilege in presenting in front of the Long Term Care Association to spread the message of the importance of our pillows and our organization! Busy Hands had the incredible opportunity to attend the 2018 Walk to End Alzheimer's. This was a chance to truly connect with the community of people who are affected by this disease. We certainly felt inspired and emotional, but the walk is there to signify the amount of hope we hold for the future in battling to find a cure to Alzheimer's. Busy Hands had an amazing experience working with the memory care patients in Ecumen Evergreens facility! Sharing sweet conversation, few laughs, and some wonderful memories we not only held a successful event, but learned a lot from each other! Busy Hands had the opportunity to hold an interactive event with the residents for Touchmark Estates in Harwood! We had a chance to help make pillows that will be going towards the residents at Touchmark! Busy Hands had the opportunity to present in front of other Fargo-Moorhead organizations about our project efforts! We had the opportunity to expand our volunteer opportunities to the Kiwanis Club in Fargo. 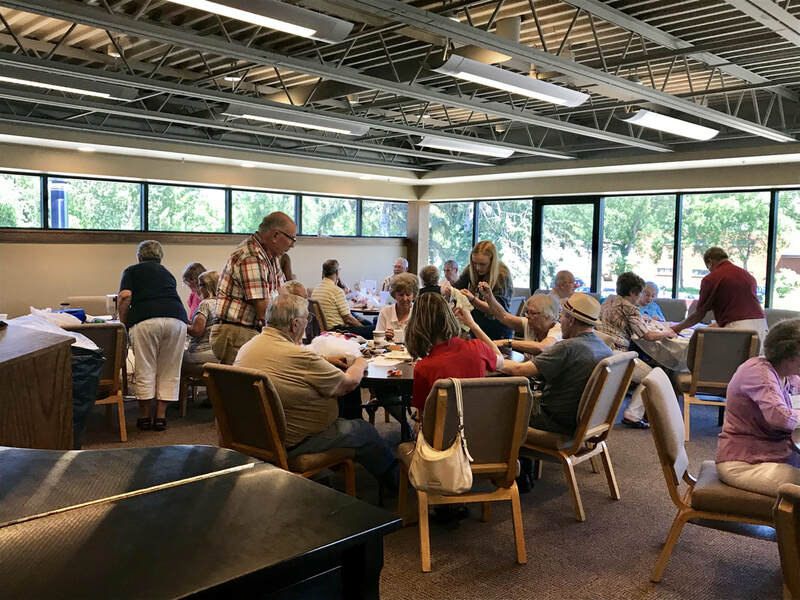 Memory Cafe of the Red River Valley held a Busy Hands volunteer event with the Sunny Day Club in Brentwood United Methodist Church in Brentwood, Tennessee. Memory Cafe and Busy Hands partner on June 27th and we have since worked together to help fight for memory care patients in the Fargo-Moorhead Area! WDAY covered Busy Hands and the event set on June 27th with Memory Cafe of the Red River Valley! 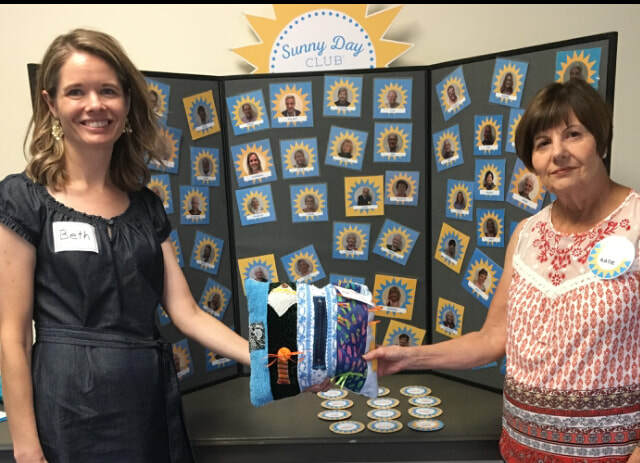 Busy Hands had the opportunity to collaborate with another incredible FM Organization Memory Cafe to create a fun project for early stage memory loss patients! 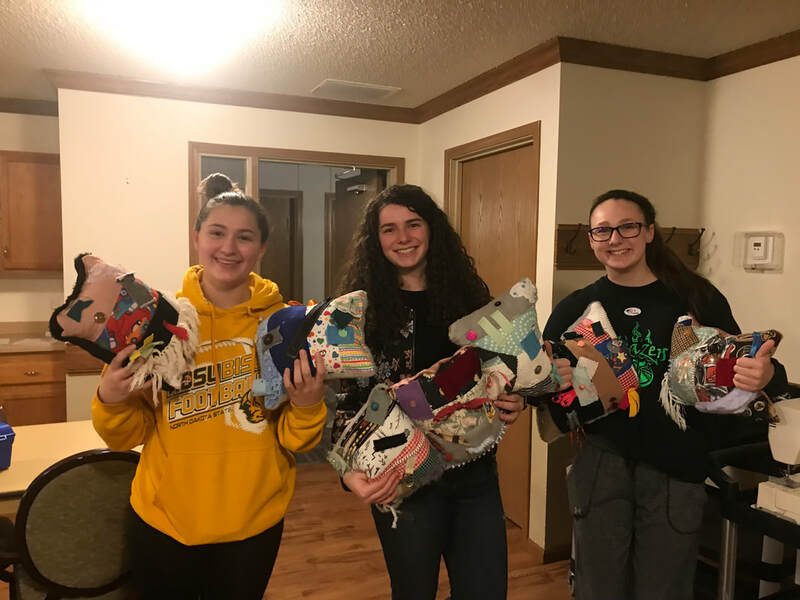 Several NHS members also attended and interacting with the participants helping out with the assembly of these fidget pillows, which will be donated to Nashville, Tennessee and Detroit Lakes, Michigan. Busy Hands was invited to attend Memory Cafe's first Birthday and it was great opportunity for both organizations to come together! Busy Hands had a great time interacting and making new friends with the memory loss participants at this event. Busy Hands had the incredible opportunity to meet the Memory Cafe of the Red River Valley and work together on future collaborations for both organizations. This meeting helped establish a great partnership and it helped set up future projects with their memory care participants. 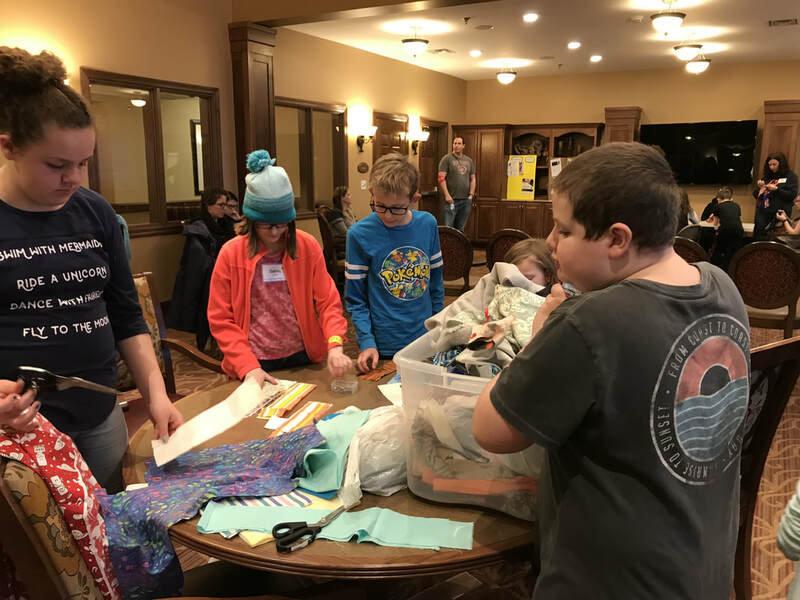 Busy Hands was able to reach out to another local 4H group and provided an opportunity for students from ages of 8-12 to help make pillows for memory care patients. Once again this was another great opportunity for young students to get directly involved into the helping out their community. 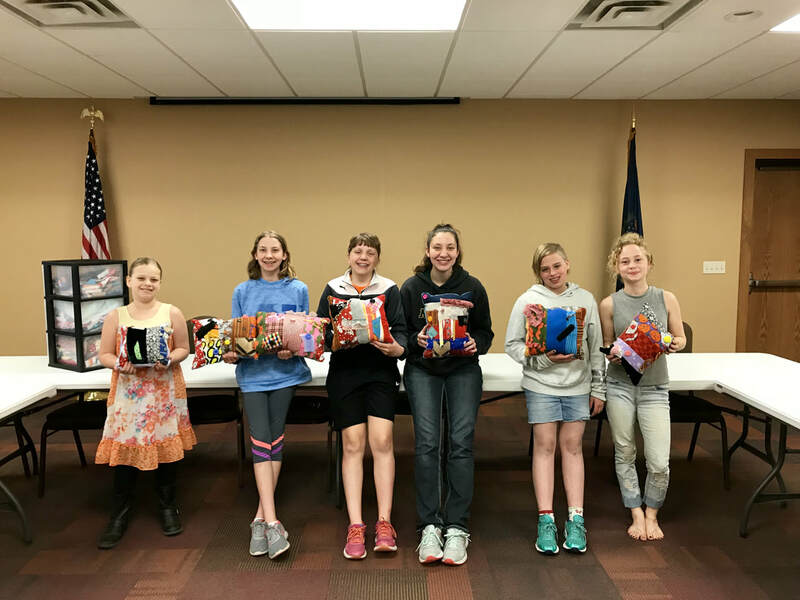 Busy Hands was able to help teach and provide the opportunity for this 4H group in Casselton to help make fidget for the memory care patients in the area. The event was an incredible opportunity of outreach and allowed young students to help create an impact across the community. Busy Hands was able to donated over 20 pillows to the Alzheimer and Dementia care facility Kindercare. The organization got to directly interact with patients and even see them actively using the pillows. Busy Hands was offered a grant to help he project grow across the sate by the Awesome Foundation of Cass County. Here is hte link to the article. 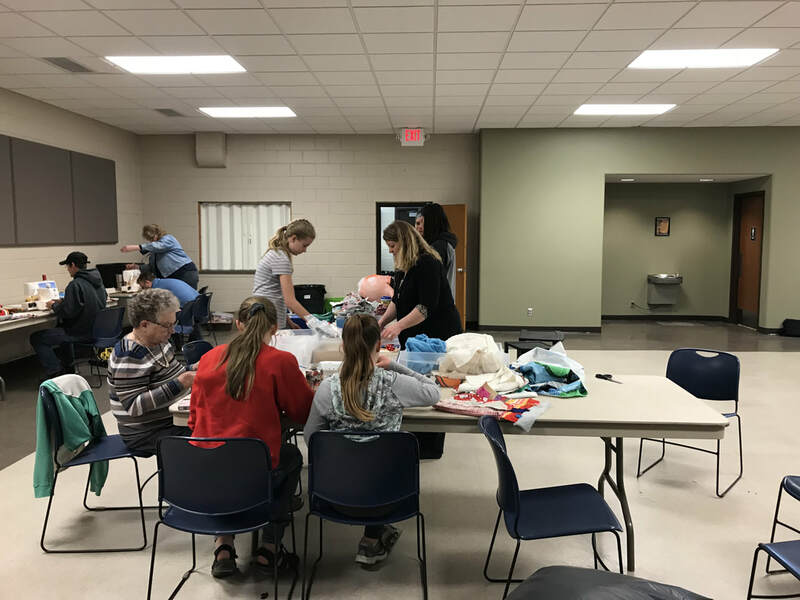 Busy Hands held another successful event wit the West Fargo 4H club! Busy Hands got the privilege to present in front of a few organization alongside with some talented ladies of the North Dakota Quilter's Guild about partnering and expanding our project across the community! Busy Hands held another event with a 4H Group full of talented individuals. This event made around 20 pillows and for more information on this event feel free to check out the Event Blog written about them! Busy Hands had the great opportunity to work with a group of talented young kids at the Vista Center in Moorhead! For more information about this Event please check out our Events blog under the Products page. Busy Hands had the chance to directly donate to patients in the Dementia and Alzheimer's ward at Touchmark Estates. Once again this was an amazing opportunity to directly connect with the patient's stories! 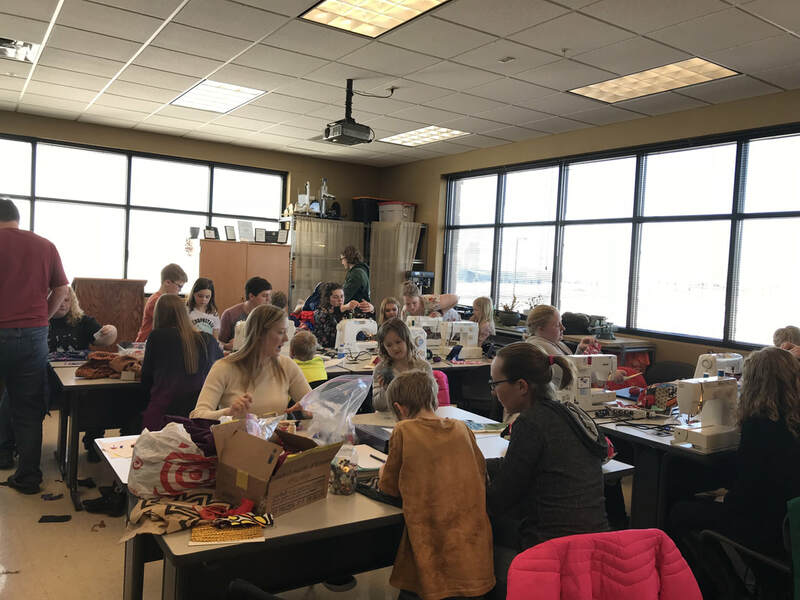 Busy Hands held an event that took place over the plan of several days.We had the Key Club, SHAPE, NHS, and Student Council all receive hours from attending training sessions and helping out the day of the event to make a large number of pillows. Our remaining volunteers of the day! 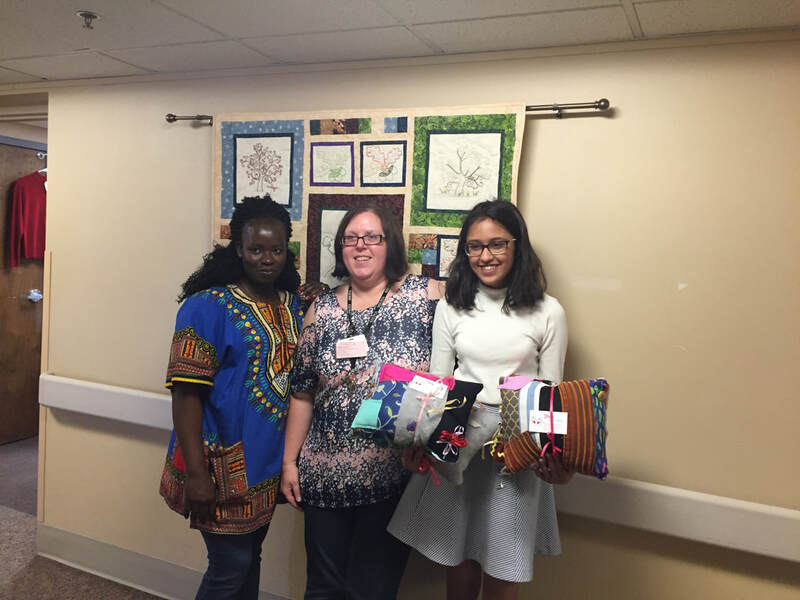 Busy Hands had the opportunity to donate to the patients at the Bethany Retirement homes. It was great opportunity for the organization to once again connect with patients. Busy Hands had the incredible opportunity and visiting and donating to the care facility Villa Maria. The organization got to directly interact with patients, share stories, and even connect with families! Busy Hands had the privilege of working with the Absaraka Crows 4H club. This event was also a success with some beautiful results, and some of the pillows made are pictured under our products page in the gallery! Busy Hands had a booth at the 2017 Alzheimer's Walk were we got the chance to spread our organization's message and connect to families who have lost or have loved ones from the disease. For more information and pictures look at our event blog post under the products page and the events section. 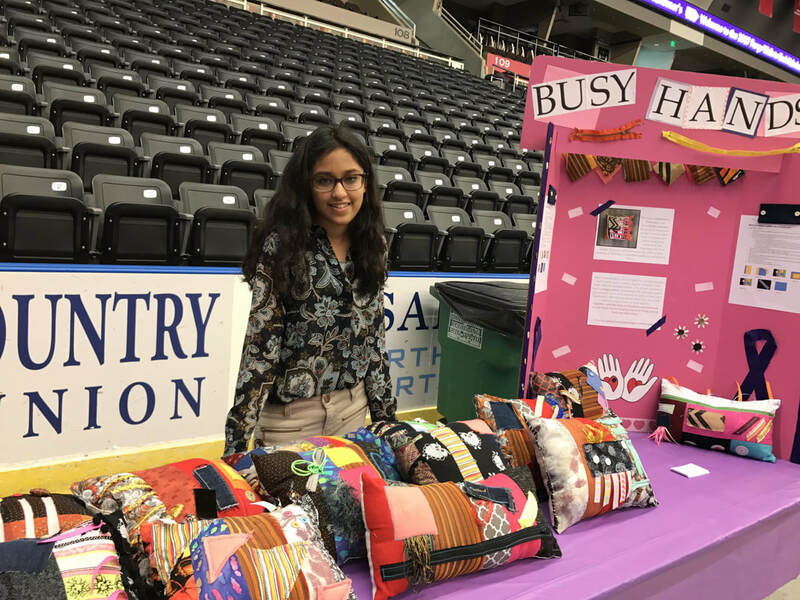 The Alzheimers Association and Busy Hands collaborated and ensued that these pillows will be used in informative classes for diagnosed patients. The pillows are distributed to all the offices in the state and are taught to caretakers as a possible solution to their loved ones irregular movements. 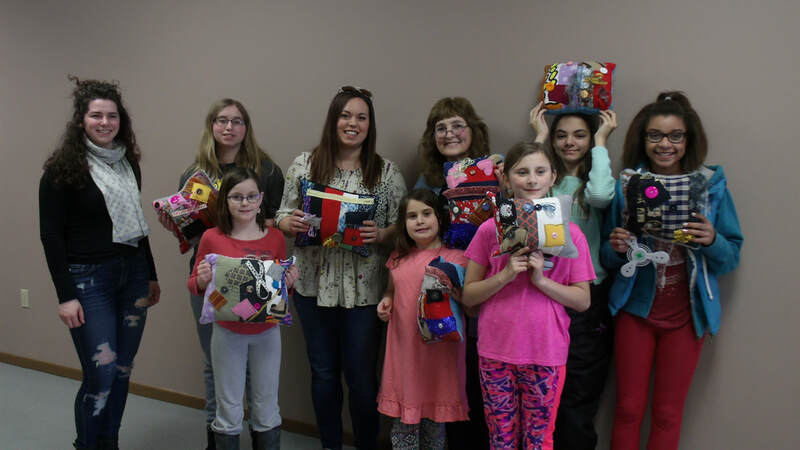 Busy Hands had a donation run and gave over 30 hand crafter pillows to Alzheimer care facility in Fargo called Mapleview. Busy Hands held two localized volunteer events at our Headquarter involving some older volunteers. The turnout was total of 32 pillows, which go on to be immediately donated. Busy Hand's first major event was with a group of young 4H kids from all over the state! The organization made a tremendous amount of progress and we were able to jumpstart directly into the community.